molecules (-COOH) embedded into the fabric itself that eliminate odors. A chemical reaction occurs immediately when odor particles such as ammonia (NH3) come into contact with the fabric, creating odorless particles (-COONH4). The particles that no longer release odors (-COONH4) are washed away in the washing machine, leaving just the odor-removing particles (-COOH). continue to evolve as an odor-removing product you can actually feel working. 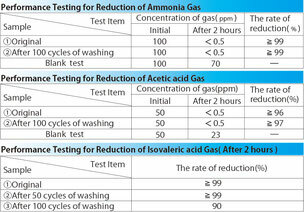 Making this kind of product seems easy, but in actuality it’s quite difficult. 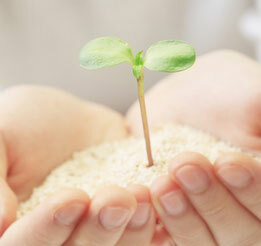 Odors vary depending on an individual’s character, health, surroundings and many other factors. Determining whether or not an odor exists depends a lot on the five senses, therefore a precise standard was necessary in the creation of BreezeBronze®. Enter the JTETC, a public agency in Japan, and its “Mark of Deodorant Processing”. This recognition has many categories, and BreezeBronze® was recognized as a product that removes the components that cause the odor in sweat. It is also recognized for its ammonia odor removal. However, in order to become more useful in everyday life, BreezeBronze® was created to also handle in aceticacid and isovaleric acid. There are of course many reasons why the BreezeBronze towel is chosen above all others. 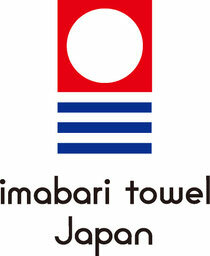 One of those reasons is that it has received the ‘Imabari Towel’ recognition as a product of high quality. This recognition is evidence that BreezeBronze meets the strict standards set by the Shikoku Towel Industrial Association, which includes the towel manufacturers in Imabari. Now more than ever the ‘Imabari towel’ is expanding globally and receiving high praise. Even amongst the towels produced in Imabari, BreezeBronze is receiving noticeable attention. How we care for the environment. 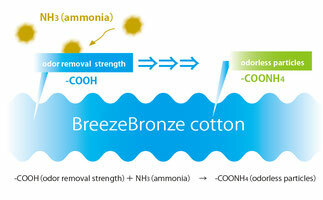 We chose to use ozone-bleached fibers to create BreezeBronze. Ozone bleaching is a process whereby scouring and bleaching reduces the amount of necessary energy used during the textile manufacturing process by applying a plasma discharge to oxygen in air to artificially create Ozone (O3), without relying on conventional chemicals. Ozone (O3) is capable of autolysis, and applying this theory we are able to contribute to the reduction of CO2 emissions by using less energy and chemicals during the manufacturing process.